This 1886 firehouse is once again for sale. Published Jan. 15, 2018 at 3:02 p.m.
Last summer, when news emerged that local entrepreneur Jalem Getz had purchased the old Ladder 5 firehouse at 1945 N. Bartlett Ave. on the East Side, many commenters on social media expressed their own desire to live in a classic old firehouse. This one, designed by Sebastian Brand, is perfect. Cream city brick, a classic design, a great neighborhood. "We remain very excited about the project but have decided to take the winter to look at other options for our family," Getz told me today. 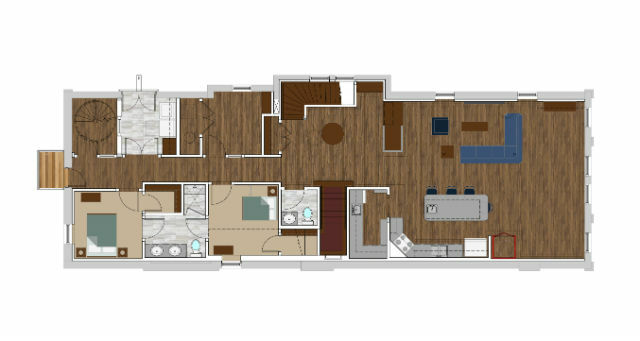 "We love the area but even at 4,000 square feet, we would prefer to have more room and a yard." Getz paid $359,000 for the place last May. Getz said that delays with contractors were also a concern as the family is currently in a small Downtown-area condo and could use some elbow room sooner than later. "You add everything up and it's kind of time for us to look elsewhere," he said. "But it was a time-consuming and expensive investment to obtain the approvals and blueprints, so the hard work is really done. The building is in incredible shape given it's over 130 years old – a testament to the construction and the decades it spent under very light use – and the neighborhood has really embraced the project. It's a wonderful neighborhood." According to the listing, "This High Victorian Italianate two-story, 4,572 sq. ft cream brick building most recently served as a storage warehouse, but zoning permits residential development up to four units. The exterior has remained largely intact, and was cleaned in 2017. 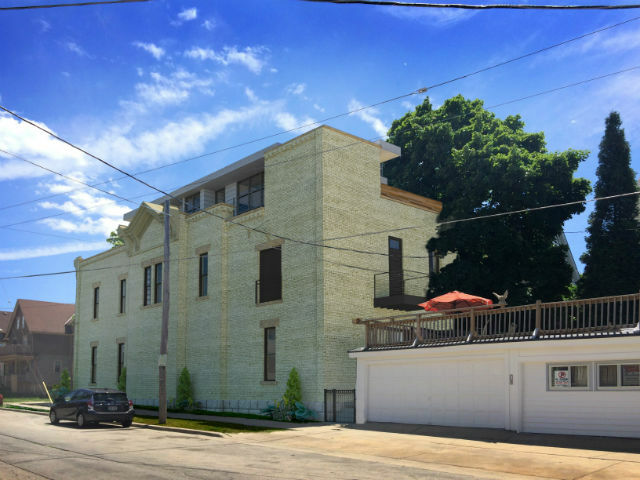 Seller presented plans for renovation and rooftop expansion to the Milwaukee Historic Preservation Commission on September 11, 2017, which were approved."